*We read this recipe in the July issue of Bon Appetit and used it over the 4th of July and just recently at a friend’s barbecue. It turned out to be a big hit with everyone. The prep was simple, the flavors were distinct and the slaw had a wonderful crunch to it. The final dish would serve well as a summertime picnic type of offering. 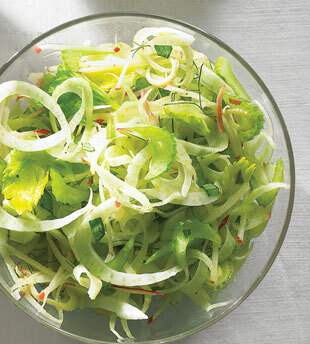 Gallery | This entry was posted in Recipes and tagged Fennel, Recipes 2011, Side Dishes, Slaw. Bookmark the permalink.